Maria's Space: Looking For Some Holiday Reads? Looking For Some Holiday Reads? 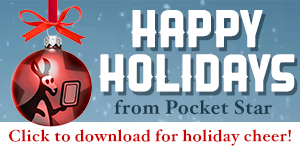 Pocket Books is here for you with a ton of books that will have you filled with holiday cheer before you know it. Why not celebrate early? The holiday is over in a day and most of the time before is spent rushing around doing everything you need to do.